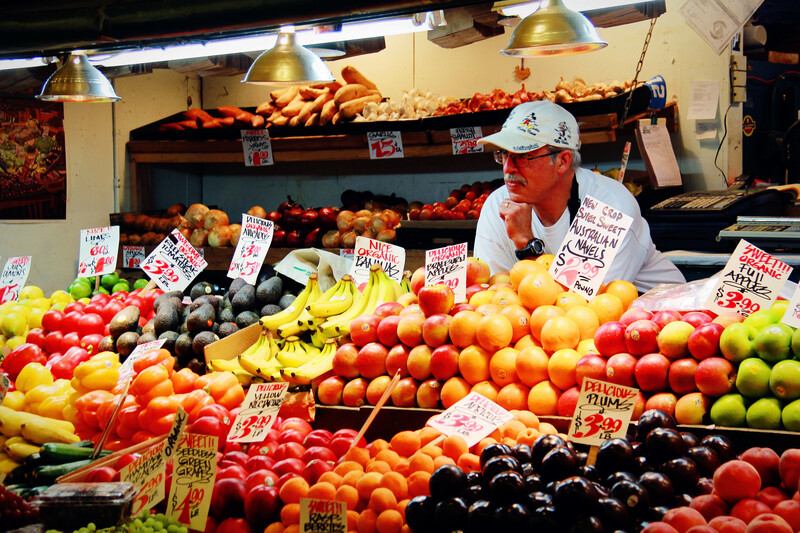 Pike Place Market, Seattle, WA | Ming's Photo Blog! As probably the most lively tourist destination in this city, Pike Place Market is one of the must-go places in Seattle. And if you go there in the morning, bingo, you will just catch the best moment of it! Though not too different from a typical farmer’s market in the US, I am still impressed by the diversity of produce and the organization of a variety of different shops there. Right at the entrance is the famous “Pike Place Fish Co.”. Each time a customer buys fish, the fishmongers will shout it out and throw the fish to the cashier. A pretty interesting live show for the tourists who happen to pass by. And this is just a start! Flowers, fruits, vegetables, souvenirs, collectibles, antiques…you can almost find whatever you are searching for here! And guess what? The original Starbucks coffee shop is also here! This entry was posted in Travel in US and tagged People, Seattle, Travel, Washington. Bookmark the permalink.